The Stanford University ranking is 6th in the USA and 2nd in the world on the University Review College Ranking List (Nb. differences are due to different metrics used in compiling of the rankings). It is ranked as the 4th best college in the states by the USnews, and the 2nd best by Forbes. As a private institution the Stanford University tuition fees are $44,757 for both in and out of state students. It is an extremely selective college accepting 5.7% of applicants. Financial aid offered totals $147 million per year, at an average of $42,850 per student. SAT scores for admission requirements (25th-75th percentile) are Math 690 – 780, Reading 670 – 770, and writing 680 – 780. The total composite SAT range for accepted applicants is 1380 to 1570. The requirements for ACT (25th-75th percentile) are Composite 30 – 34, English 30 – 35, and Math 30 – 35. Stanford University USA is privately funded and located about 40 miles south east of San Francisco in California, USA. Students studying at Stanford university are able to take both graduate and undergraduate degrees. The University was founded by Leland Stanford in 1891 by Leland Stanford, the California governor at the time and a renowned railroad tycoon. 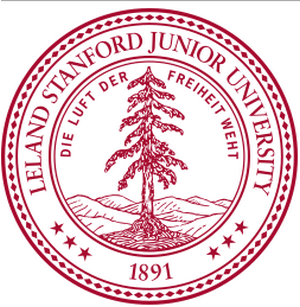 The university is actually named the Leland Stanford Junior University in honour of his son who died of typhoid as an adolescent. Location of Stanford university: The university covers an area of around 8200 acres in the Santa Clara valley and was designed by the prominent architects Frederick Olmsted and Charles Coolidge in a Romanesque style. Unfortunately, much of the early construction of Stanford university was destroyed by the earthquake that hit San Francisco in 1906, the university was further damaged in the California earthquake that occurred in 1989. The modern buildings are designed to reflect the Spanish colonial style that is prominent in California; the university has many buildings with red tile roofs and white stucco exteriors. The university is coeducational, with a roughly 50:50 split of students at the undergraduate level, but a 66:33 split at graduate level. Stanford has approximately 6,700 students and over eight thousand graduate students. There are about 1,750 members of faculty. Admission to Stanford University is extremely selective with great competition for places, the acceptance rate is approximately 12%. The university has an endowment of around 13.2 billion US dollars. Stanford University is very strong in the plant sciences with the renowned Carnegie institute for plant science being located there. Other colleges in California include San Diego State University, UC Santa Cruz, University of California at Riverside, University of Southern California, University of California, Irvine, UC Davis, University of California Santa Barbara, University of California San Francisco, University of California Los Angeles, University of California San Diego, California Institute of Technology, and the University of California, Berkeley. The libraries of Stanford University have a massive collection of over eight million. Stanford has a total of nineteen libraries, with the main one being the Green Library. Stanford University Motto – Die Luft der Freiheit weht (English:The wind of freedom blows).